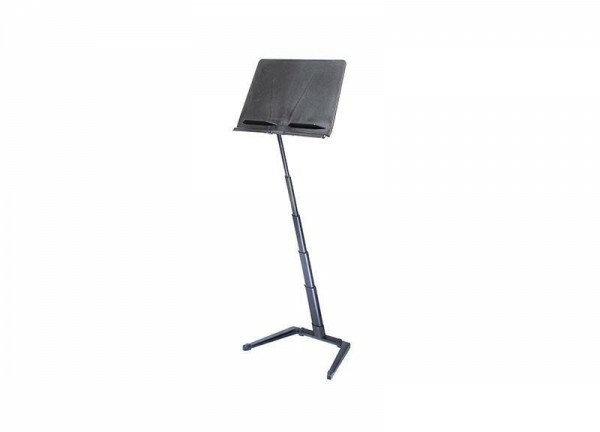 The stylish Jazz Music Stand is a professional quality portable music stand, fully foldable and with a full range of height adjustment. Sold in boxes of 6 – minimum order 6. The stand unfolds in three easy moves from a flat pack, no larger than the size of the tray and under 50mm thick. It offers industry standard stability and a full size music sheet tray with pencil shelf. No knobs are used in the design of this stand, therefore no finger traps and no hassle. Just three easy moves. 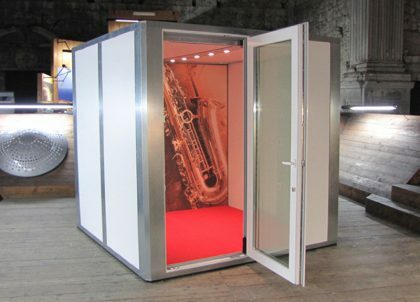 The Jazz Music Stand can be unfolded with its base pointing away from the user. It then makes a unique portable conductors stand. Separate gig bag available – click here.